Is Online Document Conversion Safe? - Ask Leo! Online document conversion services can be safe, or they can represent a real privacy risk. I'll look at the options. Many programs on the internet let you do things such as change a Word document to a PDF by sending it to the cloud and then having it return converted. How safe is this? The short answer is my most common answer: it depends. It depends on who is providing the service and how sensitive you feel your documents are. There are good services and bad services. Fortunately, there are also alternatives. The very short version is that if it’s a company you’ve never heard of, you might want to do some research before blindly uploading your sensitive documents. One way to start might be to do a “whois” lookup on the domain on which the service is provided. 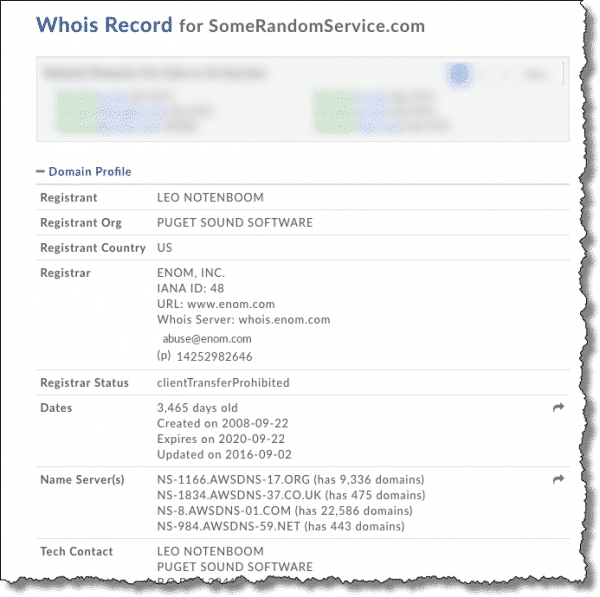 The service I tend to use is whois.domaintools.com. If you were considering using a service provided at somerandomservice.com, you might look that up first to see who’s behind it. That may be enough to make you feel comfortable, or it may be information to use for additional online research on the company or owner. If the answer is yes, carry on. If the answer is no, you know to look for alternatives. One service that provides the specific function you asked about is Google. 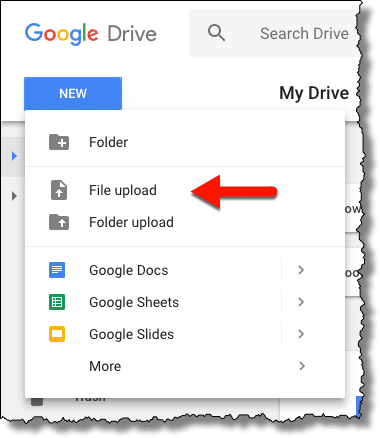 You can upload a Word document to Google Drive and convert it there. While it’s intended that you can then edit the file using Google Docs, there’s nothing that says you must. You can save the document to any of several different formats, including PDF. All this presupposes that you trust Google. If you do not, then perhaps you trust Microsoft, and could considering using Microsoft Office Online, which has the same capabilities. Another way to protect yourself, should you feel at all uncomfortable with uploading your document, is to look for a solution that runs on your PC instead. 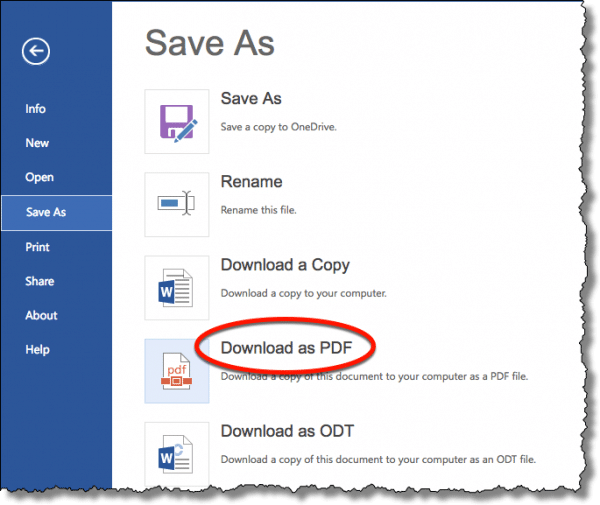 Microsoft Office installed on your computer includes “Save as PDF”. Free Office alternatives like LibreOffice and OpenOffice can read your Word documents and save as PDF. Depending on the software you have installed on your system, it’s possible you have additional options as well. Be sure to look for both “Save” and “Export” options in any programs you have that can open a Word document. As you can see, Word to PDF is a common scenario with many options available. If you’re faced with some other kind of document conversion, things get more difficult. Depending on your need, you may have tools on your machine already. Those are likely the safest approach, as they’re least likely to share your documents with others. You may find online conversion utilities from companies you know and trust, like Google, Microsoft, or someone else. If so, then your problem is solved. But it’s also possible for more obscure conversions that you’ll find options from companies you’ve never heard of. When that happens, the only advice I can give is to do the research and weigh the risks. In general, my sense is that the risk is very low, but depending on the sensitivity of the documents you need converted, even that may be too much. Why does Word tell me a document has changed when it hasn’t? - It's sometimes hard to tell why Word thinks a document has changed even though you haven't done anything. We'll provide a few clues. Using Dropbox for Nearly Continuous Document Backup - Using Dropbox to share files across machines is pretty common. You can also use Dropbox on only one machine as backup technology. « Previous post: Why do some chargers work faster or slower than others? Most OCR programs will handle that, and there are websites which do the conversion. I use ABBYY FineReader. I don’t know of any reliable websites to recommend. Google docs can be used for OCR as well. 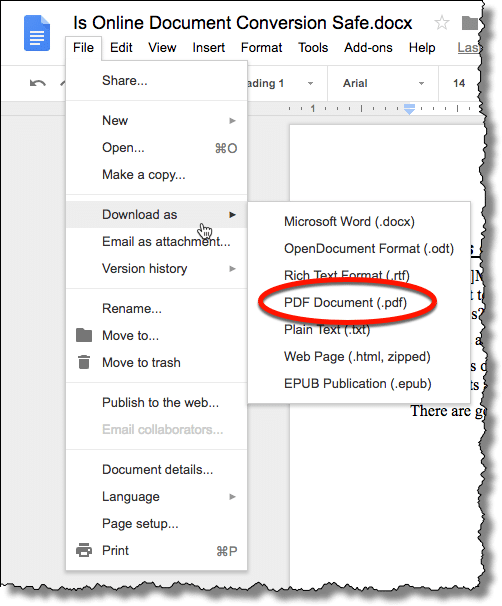 The easiest option to create a pdf from any document is to use the ‘Print to pdf’ option within the print routines. This is now a standard feature in Windows 10, and there are many free add-ins that will do the job on earlier Windows versions (in 2011 Leo recommended Cute pdf writer, which I used to use). Unless you have specific / specialist formatting requirements then I don’t see a need for ever using online facilities for this. Why trust them when you don’t have to? I’m assuming you didn’t read the article since a) it points this out, b) it mentions specifically that there are many, many other types of conversions for which this is not an option.